Doncaster homeowners will be among those affected by the latest rise in the Bank of England interest rates. The first increase in 10 years; they have just been raised from 0.25 percent to 0.5 per cent. This uplift comes as inflation hits a 51-month high of 2.9 per cent whilst the national unemployment rate is at an all-time low of 4.3 per cent. I have to ask by how much Doncaster homeowners (on variable rate or tracker mortgages) will see their repayments increase? So, what will this interest rate actually do to the Doncaster housing market? Well, if I’m being frank – not a great deal. 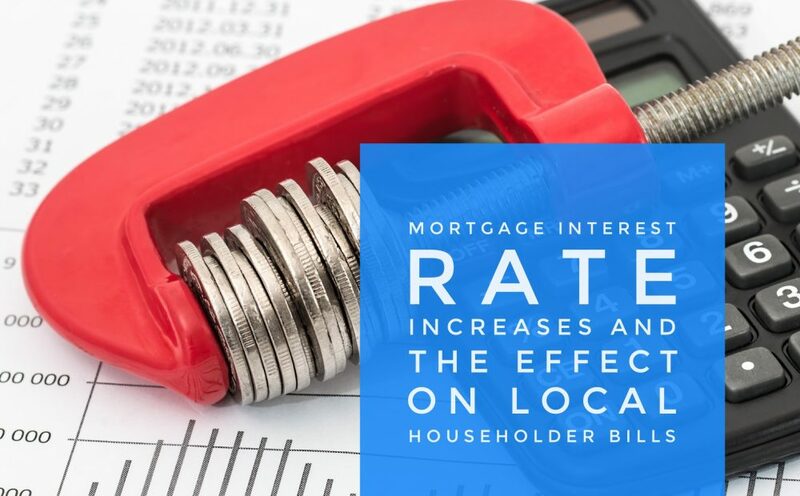 The proportion of Doncaster homeowners with variable rate mortgages (and thus directly affected by a Bank of England rate rise) will be smaller than in the past, in part because the vast majority of new mortgages in recent years were taken on fixed interest rates. The proportion of outstanding mortgages on variable rates has fallen to a record low of 42.3 per cent, down from a peak of 72.9 per cent in the autumn of 2011. If more Doncaster people are protected from interest rate rises, because they are on a fixed rate mortgage, then there is less chance of those Doncaster people having to sell their Doncaster properties because they can’t afford the monthly repayments or even worse case scenario, have them repossessed. Now of course there is a certain amount of uncertainty with regard to Brexit and the negotiations thereof, but fundamentally the British economy is in decent shape. People will always need housing and as we aren’t building enough houses (as I have mentioned many times in the Doncaster Property Blog), we might see a slight dip in prices in the short term, but in the medium to long term, the Doncaster property market will always remain strong for both Doncaster homeowners and Doncaster landlords alike. Doncaster is now 19.5 years. This is an increase of 62.90 per cent between the credit crunch fallout year of 2009 and today, but still it is a 38.24 per cent drop in moves by homeowners, compared to 15 years ago (The Noughties). 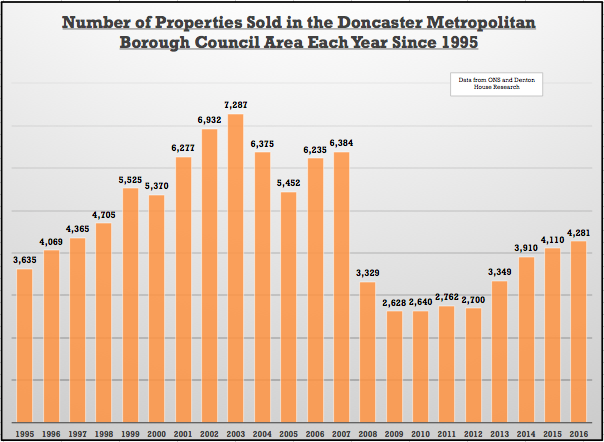 So why aren’t Doncaster homeowners moving as much as they did in the Noughties? 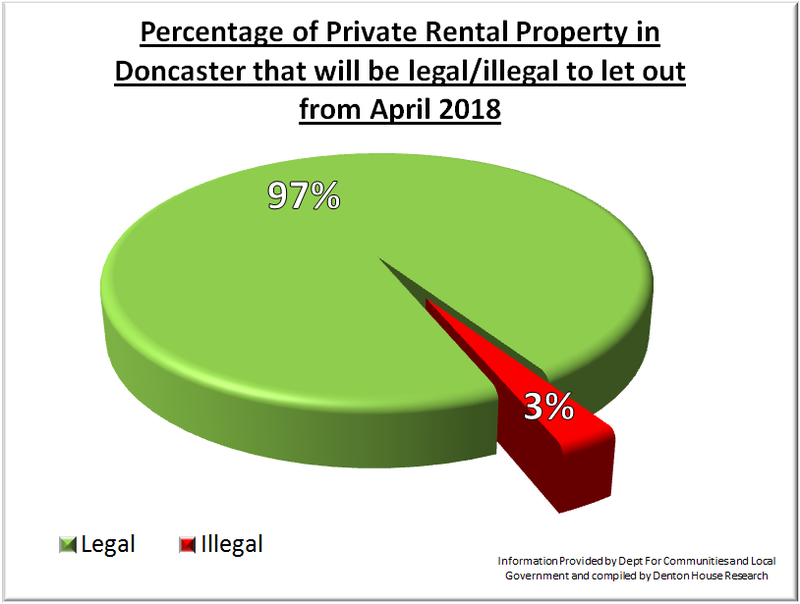 So, what does this mean for Doncaster homeowners and landlords? 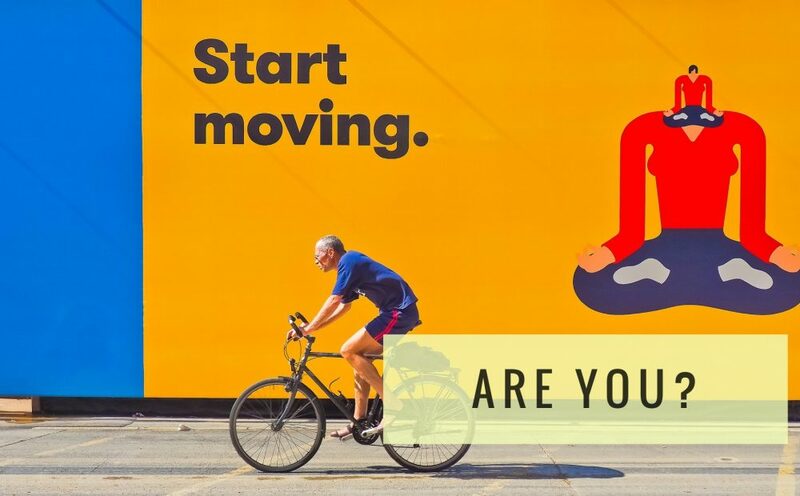 Well, if Doncaster people are less inclined to move or find it hard to sell a property or acquire a new one, they are probably less likely to move to an improved job or a more prosperous part of the UK. 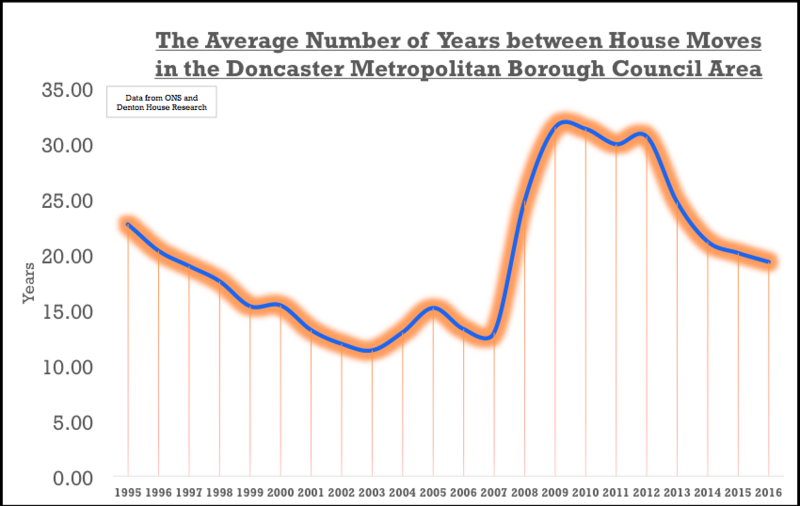 40,540 of the 83,178 owned households in the Doncaster Metropolitan Borough area have two or more spare bedrooms. This means that there could be an opportunity for Doncaster buy to let landlords to secure larger properties to rent out, as the demand for them will surely grow over the coming years. As for homeowners; well those in the lower and middle Doncaster market will find it a balanced sellers/buyers market, but will find it slightly more a buyers market in the upper price bands. 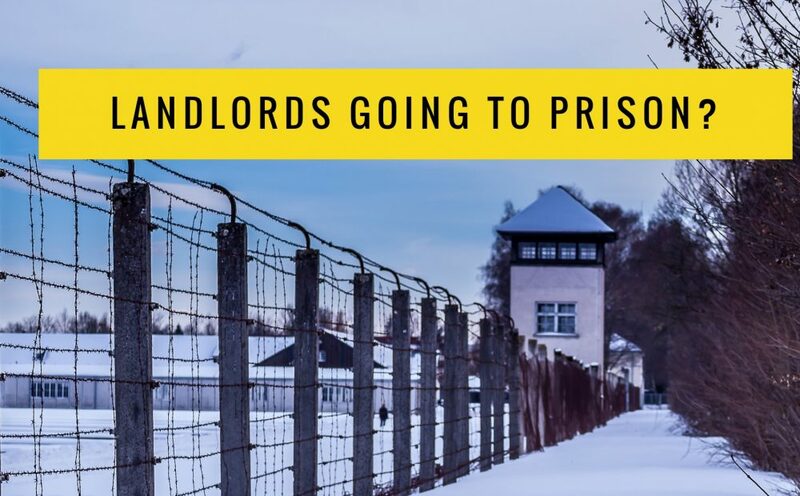 Personally, I have grave apprehensions that many Doncaster landlords may be totally unaware that their Doncaster rental properties could fall below these new legal minimum requirements for energy efficiency benchmarks. Whilst some households may require substantial works to get their Doncaster property from an F/G rating to an E rating or above, my experience is most properties may only need some minor work to lift them from illegal to legal. By planning and acting now, it will mitigate the need to find tradespeople in the spring when every other Doncaster landlord will be panicking and paying top dollar for work to comply. So, how many properties are there in the area that are F and G rated .. well quite a few in fact. Looking at the whole of the Doncaster Metropolitan Borough Council area, of the 18,774 privately rented properties, there are ..
That means just over one in 33 rental properties in the Doncaster and surrounding area has an Energy Performance Certificate (EPC) rating of F or G. From April next year it will be illegal to rent out those homes rated F and G homes with a new tenancy. Talking with the Energy Assessors that carry out our EPC’s, they tell me most of a building’s heat is lost through draughty windows/doors or poor insulation in the roof and walls. So why not look at your EPC and see what the assessor suggested to improve the efficiency of your property? I can find the EPC of every rental property in Doncaster, so irrespective of whether you are a client of mine or not, don’t hesitate to contact me via email (or phone) if you need some guidance on finding out the EPC rating or need a trustworthy contractor that can help you out? As I mentioned in a previous article, the average house price in Doncaster is 5.16 times the average annual Doncaster salary. This is higher than the last peak of 2008, when the ratio was 5.11. A number of City commentators anticipated that in the ambiguity that trailed the Brexit vote, UK (and hence Doncaster) property prices might drop like a stone. The point is – they haven’t. Now it’s true the market for Doncaster’s swankiest and poshest properties looks a little fragile (although they are selling if they are realistically priced) and overall, Doncaster property price growth has slowed, but the lower to middle Doncaster property market appears to be quite strong. Even though we are not anywhere near the post credit crunch (2008 and 2009) low levels of property sales, the torpor of the Doncaster housing market following the 2016 Brexit vote has seen the number of property sales in Doncaster and the surrounding local authority area level off to what appears to be the start of a new long term trend (compared the Noughties). But coming back to today, looking at the property sales figures in the Doncaster area since 2010/11, a new trend of number of property sales appears to have started. Interestingly, this has been mirrored nationally. The reasons behind this are complex, but a good place to start is the growth rate of real UK household disposable income, which has fallen from 5.01% a year in 2000 to 1.68% in 2016. Also, things have deteriorated since the country voted to leave the EU as consumer price inflation has risen to 2.7% per annum, meaning inflation has eaten away at the real value of wages (as they have only grown by 1.1% in the same time frame). 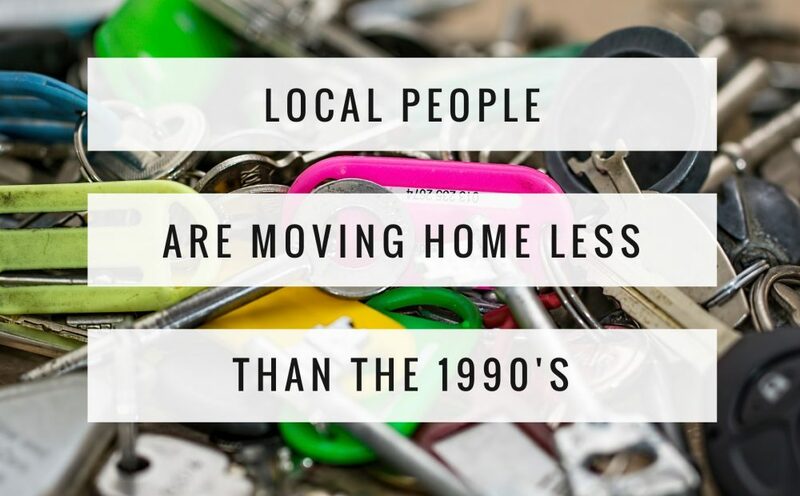 Next week I will be discussing how these (and other issues) has meant the level of Doncaster people moving home has slumped to once every 19.5 years.